a box ) and flats, ( twelve boxes to a flat ) at very competitive prices. Buy a flat for excellent savings. Call the number above for details. 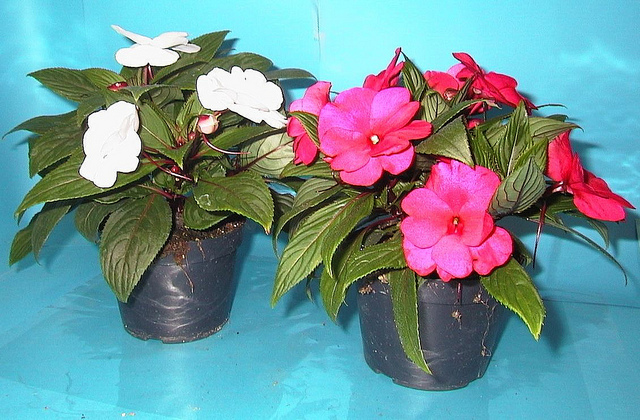 New Guinea Impatiens, sold in 4" pots and slightly higher in price, offer wonderfully coloured flowers and foliage. 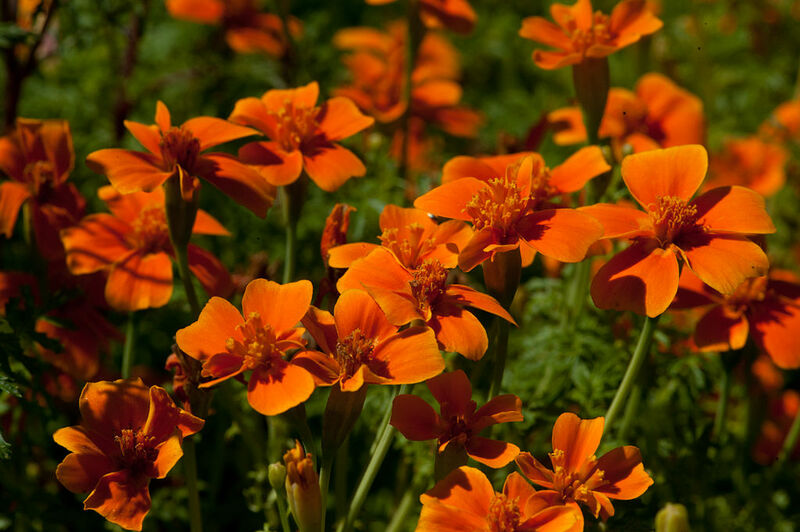 Marigolds ( Tagetes ) come in yellow, red, orange, white and red/yellow mixed colours. Flowers are single or double. An excellent easy growing border plant that adds colour all summer, in sunny areas with light sandy soil. 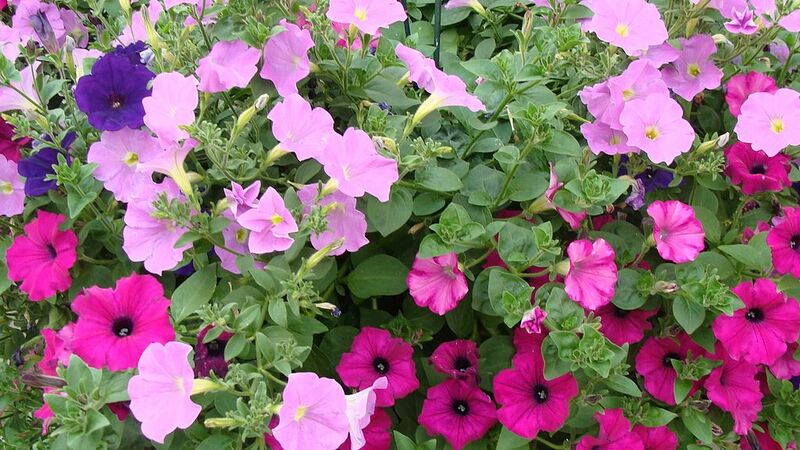 Petunias are sold in blue, pink, white, yellow, purple, burgundy, and mixed colours. 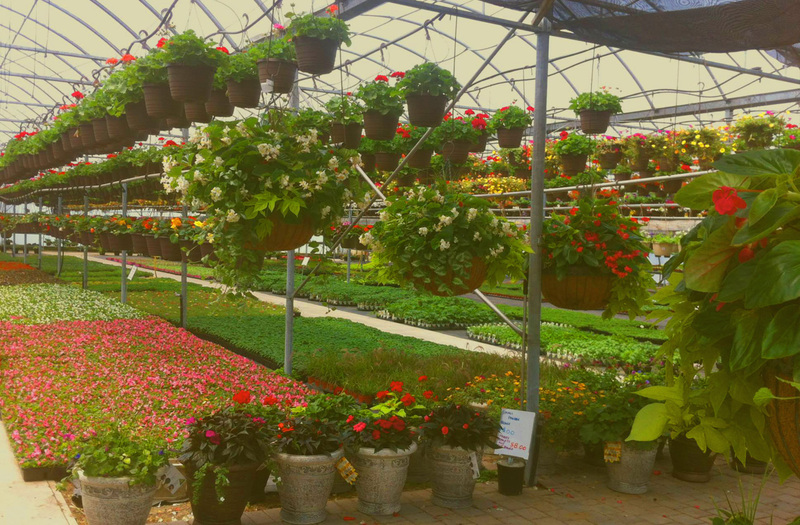 The flowers are abundant and sweet smelling.They are excellent border and container plants that thrive in sunny areas and bloom all summer. 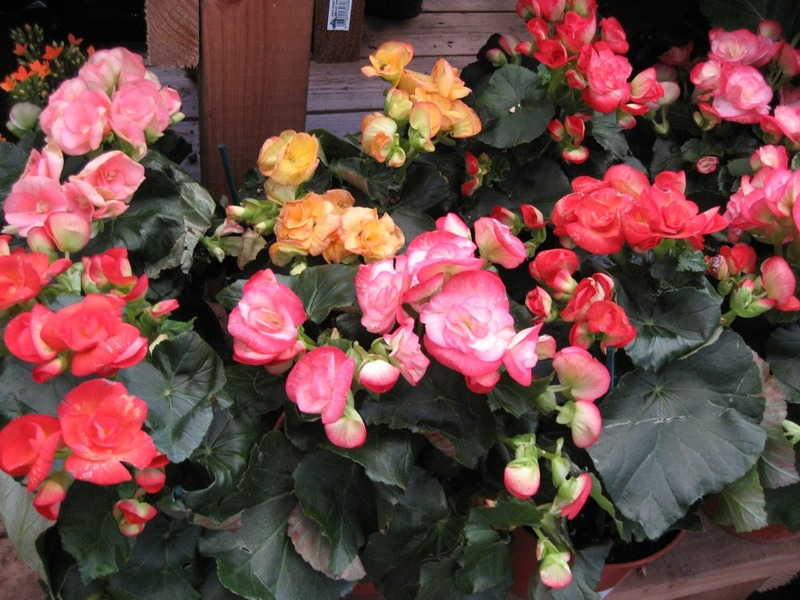 Fibrous Begonias come in white, pink, salmon, rose and reds. Flowers are single or double, set off by dark green foliage. This is an excellent plant to colour a shady area, blooming all summer. 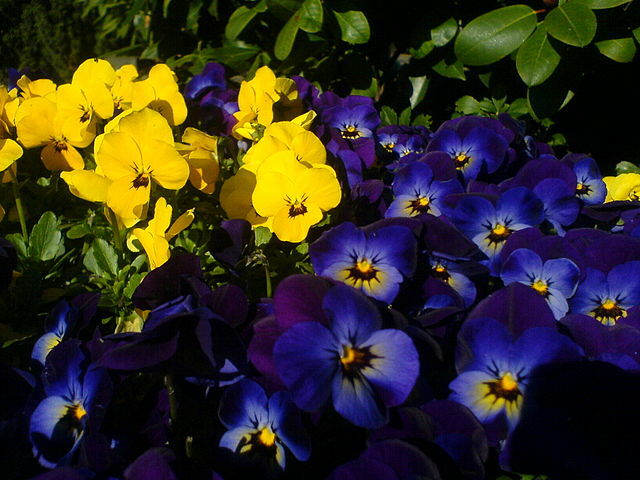 Pansies ( Violas ) are available in red, yellow, blue, pink, white, purple, violet and mixed colour combinations. They are excellent bedding, border, or container plants, offering delightful colour all summer, in sun or partial shade. Allysum is available in white, blue, pink, violet and rose colours. Flowers are tiny and delicate with a wonderful fragrance. 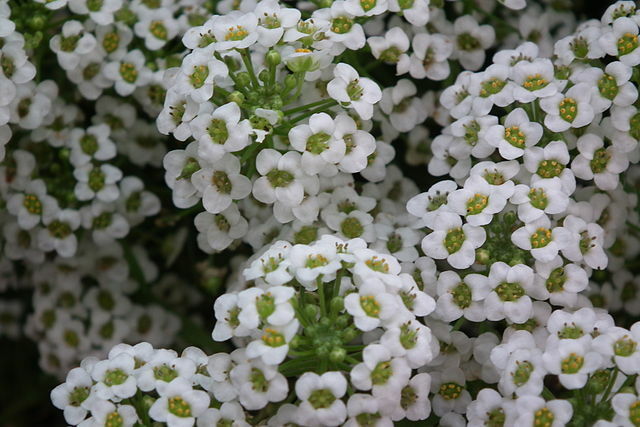 An excellent border plant that can be grown in direct sunlight or partial shade, blooming all summer.